As an employer, you are required to provide your employees with a safe place to work. This includes identifying potential hazards, developing your safety program, training employees on safe work practices, providing employees information like SDS’s, and providing and maintaining necessary equipment for safe operation. The ESafety courses that we provide you are designed to meet federal requirements for general industry at a general awareness level. 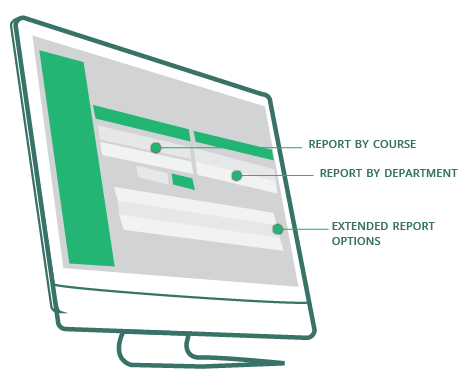 With our custom course feature you can provide additional training information to meet your state or local requirements specific to your workplace.  Why manually run a compliance report when ESafety can do it for you? 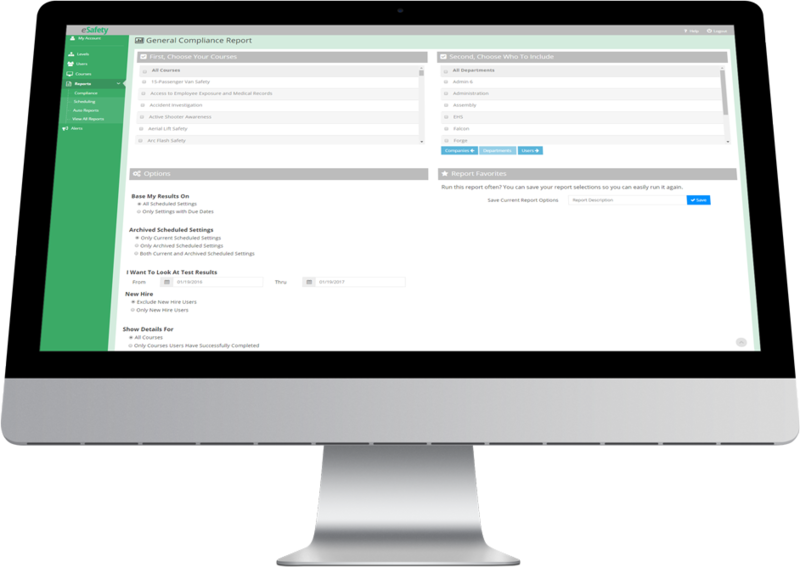 Ask us about our auto reports feature. Completed courses and test scores are compiled in a variety of reports that you can print off or save electronically as you need. 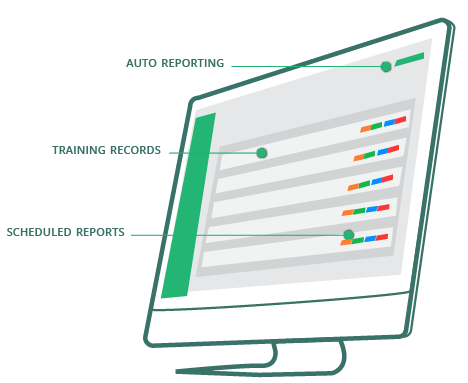 Our reports show you who is scheduled for training and who completed it, in seconds. You can even arrange for our LMS to automatically send this information to you and anyone else who may need it on a regular basis. This allows you to keep everyone in the know. Submit this form to get an inside look at how simple our LMS is to use, schedule and run reports to fit your training needs.